kinda Golgari tarmogoyf which makes your draw better.A new Grabrauber staple? The effects seems adequately strong, but I wonder if it will be too difficult to have him connect? Between Eldrazi, Mentors, Pyromancers and the Human mirror, connecting without him dying seems hard. In a classic Human build it might even be difficult to reach Delirium, but filtering on its own would be ok. And it would help manage damage from Dark Confidant. 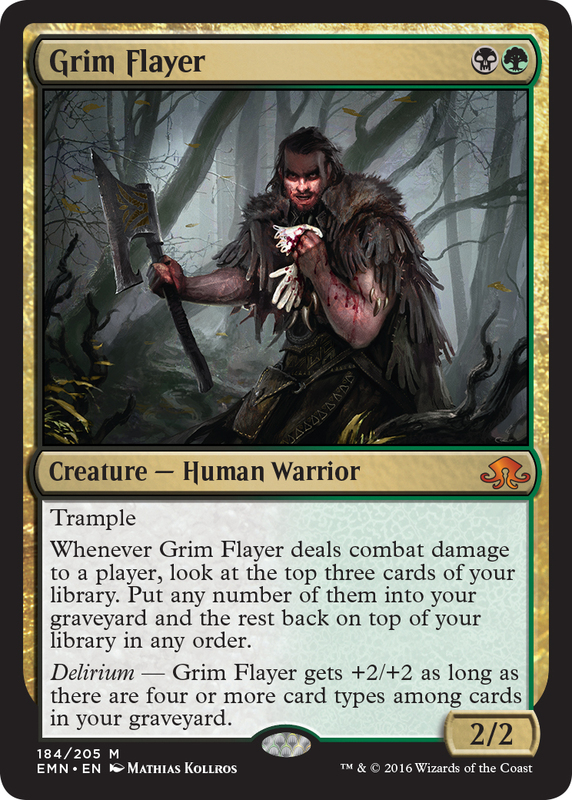 this seems like another card that is on the verge of playability, this may see play but im not sure, as uvatha has said, with all the creatures running around it might not be good at the moment. if mentor, eldrazi, and young pyro werent everywhere i would say its great. as someone else said in another (diferent card but it applies here) good card but in the wrong meta.